Kamal Nursury brings forth premium quality Banana Plants of various species of bananas. Planted from the high quality full-grown seeds or the stem of the banana trees, these banana plants give superior quality banana fruits. The Banana Tree Plant we offer is very easy to cultivate and do not require any kind of fertilizers. The Banana Plants grow very fast and also produce the fruits quite early. 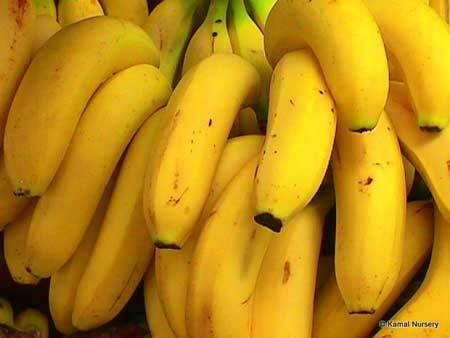 Besides a manufacturer, we are among the prominent Suppliers of banana plants in India. We have also enlisted our names among the renowned Growing Banana Plants Exporters all over the world.